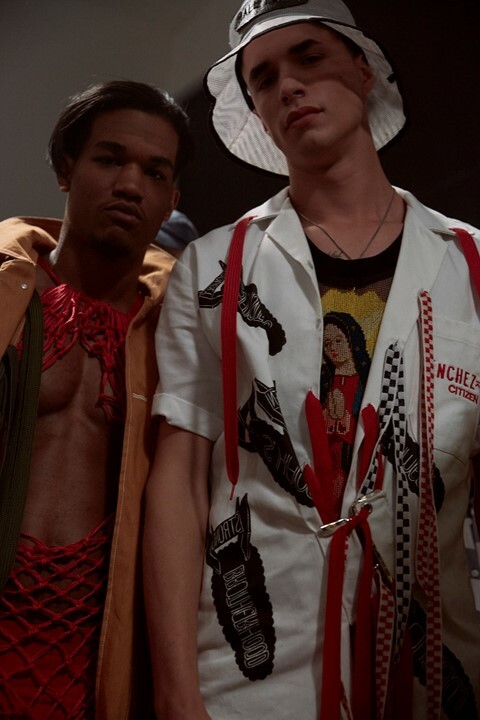 Lifestyle network and leaders of cutting-edge design VFiles brought the fantasy back into fashion at their SS17 runway show in New York City last night. Their rather conceptual showcase featured designers selected by an impressive line-up of mentors including rap-visionary Young Thug, Naomi Campbell and Pat McGrath among others, and was complimented by surprise performances by Brooklyn-based teen metal band Unlocking The Truth, DJ A-TRAK and AWGE fashion-rapper Playboi Carti. Although Young Thug’s slightly awkward, viral gimmick, where he stopped a model in the middle of the runway, whipped up a social media frenzy, designers Ground Zero, Rushemy Botter, Sanchez Kane, Song Seoyoon and Alessandro Tricone still managed to present memorable, artistic and politically-charged collections. 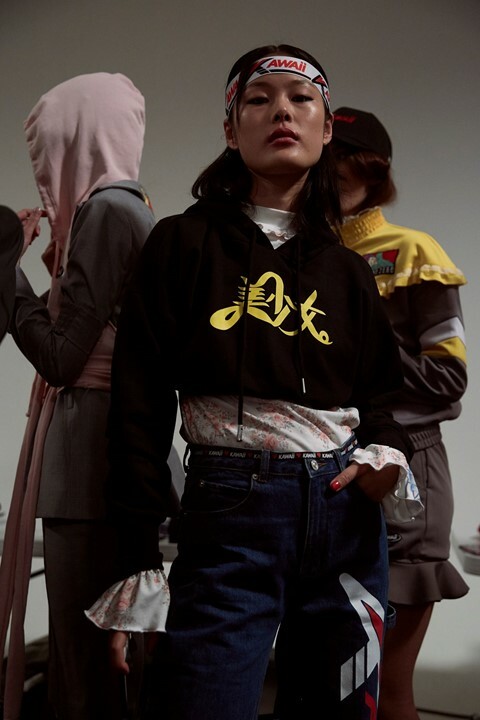 Anime and Formula One were two clear references made by Hong Kong-based label Ground-Zero throughout their collection this season. 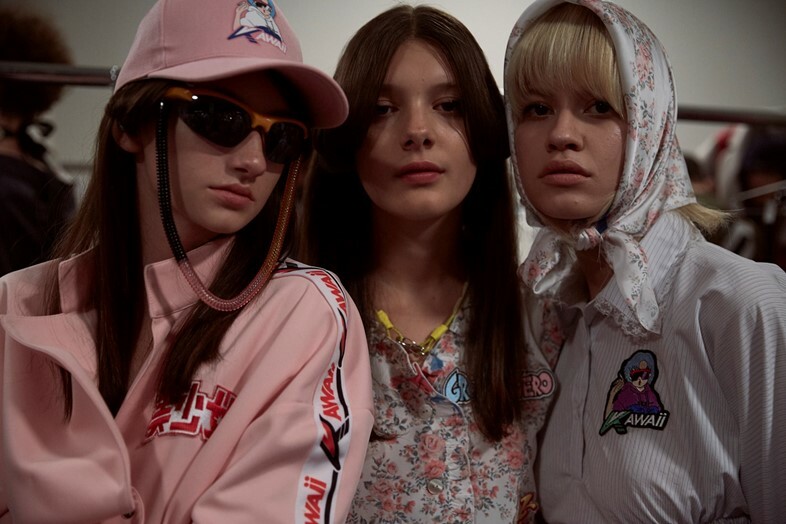 Jeans were updated with “Kawaii” text and Hook-Ups-esque skate graphics while racing jackets were delicately ruched to give a Fast and Furious vibe. The models were accessorised with kitschy “speed dealer” shades to complete the Grand Prix look. New York-based designer Song Seoyoon channelled Canal Street and Rei Kawakubo for spring. 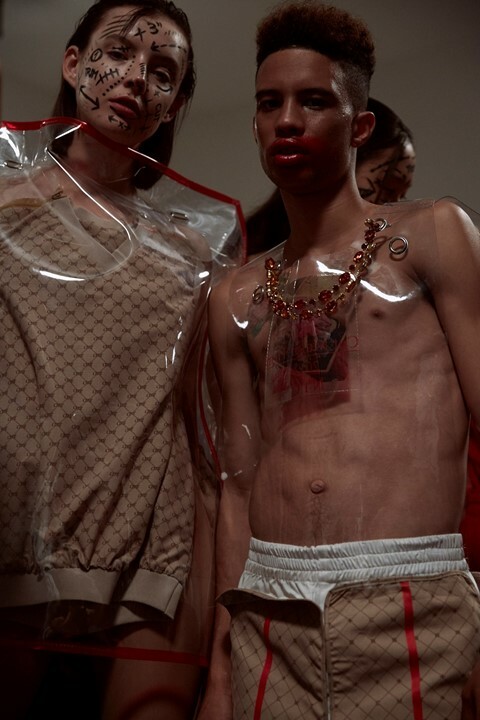 A Gucci style monogram fabric was cut into several full looks and overlaid with clear plastic, giving the clothing an avant-garde feel. Chopped up, structural blazers and smeared off-centre lipstick reminded us of conceptual Japanese design. Barbara Sanchez-Kane’s SS16 collection was quite literally “dreamy” with pillow head masks and mesmerising, flowy tassels attached to her fantasy-driven garments. Olympic fencer Miles Chamley Watson was seen walking the runway in a Dark Ages-inspired, grim reaper robe, while other models wore garments adorned with loud, socially-aware text. 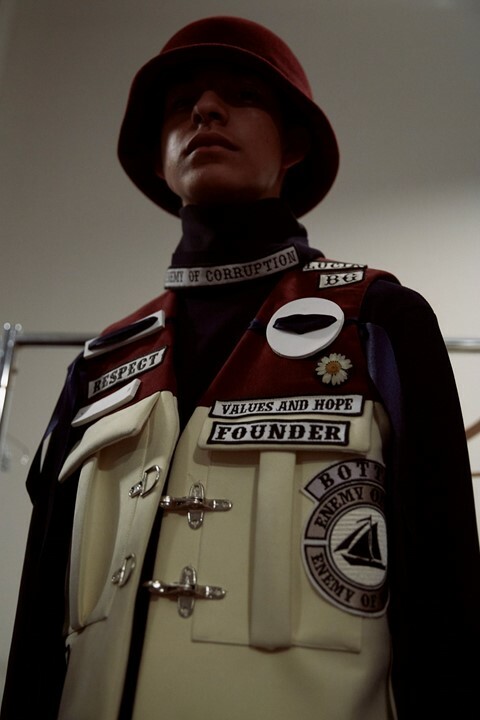 Themes of workwear and sadomasochism were combined throughout Kane's show to form a completely one-of-a-kind collection. Italian couture ballgown designer Tricone created a series of high-impact, ruffled, floor-length dresses, one of which was seen modelled by Young Thug on the cover of his latest EP No, My Name Is Jeffrey. 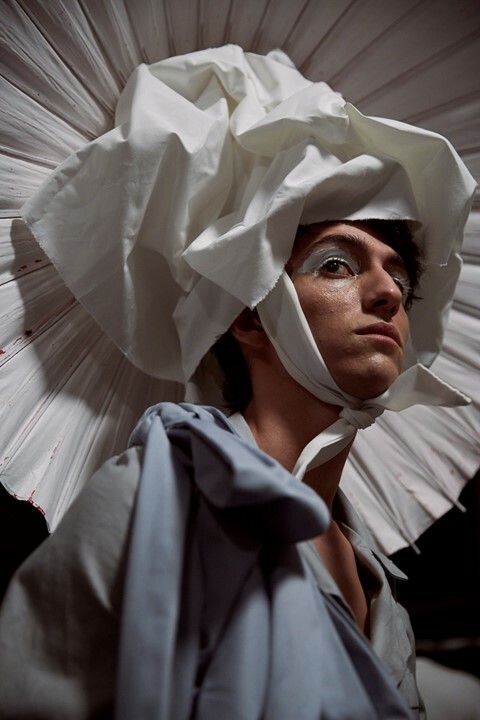 The slow-walking models, over-the-top head pieces and dramatically layered garments made the runway experience feel religious and ultra-emotional, with Trincone channelling genderfluidity and individuality.